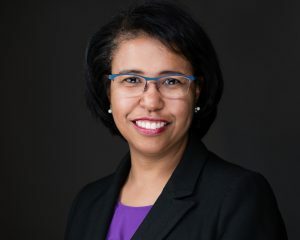 Luckie & Co. announced two additions to the agency’s expanding national healthcare team: Kamala Prince joins Luckie as the firm’s Strategic Business Unit Leader, Pharma, while Adam Meadows joins as Director of the Strategic Engagement, Pharma Business Unit. 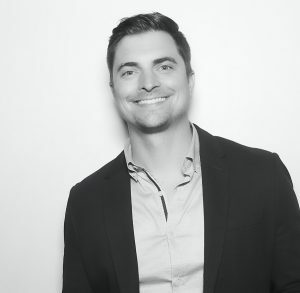 Adam Meadows brings to Luckie over 14 years’ health marketing experience encompassing digital, mobile, social, and public relations for national and global brands including Merck, Octapharma, Novartis, and Zoetis/Pfizer Animal Health. He has been the architect of analytics and optimization plans, overseen dozens of website builds and consumer & sales apps, and managed omni-channel patient campaigns that include eCRM elements. Meadows earned degrees in Marketing and German from Auburn University, and he will be based in the agency’s Atlanta office. ATLANTA — June 9, 2018 – Marketing solutions firm Luckie & Co. in partnership with long-time client Alabama Tourism Department, has won a prestigious Silver ADDY honor for their work on the U.S. Civil Rights Trail project. The awards ceremony took place on June 8 in Chicago. The American Advertising Awards (ADDY’s) are the advertising industry’s largest and most representative competition, attracting more than 40,000 entries through local AAF Club (Ad Club) competitions. The mission of the competition is to recognize and reward the creative spirit of excellence in the art of advertising. In the category Out-of-Home & Ambient Media – Poster – Single Unit, Luckie & Co. and Alabama Tourism Department won Silver for their work related to the U.S. Civil Rights Trail, specifically for a print poster used to promote The Trail at live events. A national Gold ADDY is recognition of the highest level of creative excellence, judged to be superior to all other entries in the same category. Entries that are also considered outstanding and worthy of national recognition receive the Silver ADDY. Launched on Martin Luther King, Jr. Day 2018, CivilRightsTrail.com connects 14 states and over 100 landmarks of the Civil Rights Movement. The site functions as part travel planner, part history lesson and part catalyst for travelers who have a high interest in historical sites and families who want to add a meaningful educational component to their travels. Conducted annually by the AAF, the national ADDY competition is the capstone for three phases of competition, starting with local Ad Club entries at which Luckie & Co. was victorious in the Georgia competition. Luckie also took home top honors in the regional District 7 ADDY competition in April, advancing from there for consideration to the national competition. “This U.S. Civil Rights Trail initiative has been one of the most impactful our firm had ever worked on,” said Luckie & Co. President John Gardner. 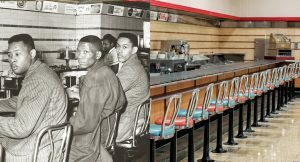 “Many of the major events along what is now The Civil Rights Tail took place in our home communities, and we are proud to help tell the amazing story that impacted a nation. “While the work reflected Luckie’s creative talent, more importantly I believe it showed our humanity – rarely do you show work to your internal team and get a response that includes tears mixed with high fives,” added Gardner. Wright is senior art director at Luckie, and Meripol is an award-winning photographer based in Alabama. Privately owned and fiercely independent for 65 years, Luckie & Co. is a marketing firm that uses data and consumer insights to solve its clients’ toughest challenges. With offices in Atlanta and Birmingham, the firm operates on a core belief that innovation and meaningful change come from a solid marriage of data science and creativity. Luckie’s client roster includes top brands in healthcare, tourism, and CPG, including: GlaxoSmithKline, Regions Bank, Piedmont Hospital, Visit Panama City Beach, Little Debbie, Express Oil Change, Alabama Power, and Williamsburg, Va. Learn more at Luckie.com. The U.S. Civil Rights Trail is a collection of churches, courthouses, schools, museums and other landmarks primarily in the Southern states where activists challenged segregation in the 1950s and 1960s to advance social justice. Famous sites such as the Edmund Pettus Bridge in Selma, Ala.; Little Rock Central High School in Arkansas; the Greensboro, N.C., Woolworth’s where sit-ins began; the National Civil Rights Museum at the Lorraine Motel in Memphis, Tenn.; and Dr. King’s birthplace in Atlanta, among others. The people, locations and destinations included in the Civil Rights Trail provide a way for families, travelers and educators to experience history firsthand and tell the story of how “what happened here changed the world.” For details about dozens of significant sites and to see interviews with civil rights foot soldiers visit CivilRightsTrail.com. 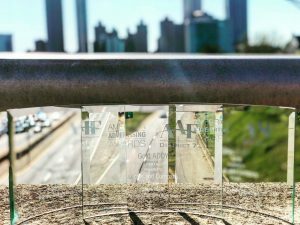 The American Advertising Federation (AAF) presented three Gold ADDY Awards to Luckie & Company in the District 7 competition in Jackson, Mississippi, April 13. The awards were in recognition of Luckie’s work on the U.S. Civil Rights Trail. The wins fell into the category of Out-of-Home & Ambient Media – Poster – Single Unit. District 7 represents 21 advertising clubs and federations affiliated with the AAF in Alabama, Georgia, Louisiana, Mississippi and Tennessee. Luckie & Company created the work as part of its partnership with the Alabama Tourism Department. The U.S. Civil Rights Trail is a collection of churches, courthouses, schools, museums and other landmarks primarily in the Southern states where activists challenged segregation in the 1950s and 1960s to advance social justice. Included are famous sites such as the Edmund Pettus Bridge in Selma, Alabama; Little Rock Central High School in Arkansas; the Greensboro, North Carolina, Woolworth’s where sit-ins began; the National Civil Rights Museum at the Lorraine Motel in Memphis, Tennessee; Dr. King’s birthplace in Atlanta, and many others. The people, locations and destinations that are part of the Civil Rights Trail provide a way for families, travelers and educators to experience history firsthand and tell the story of how “what happened here changed the world.” For details about dozens of significant sites and to see interviews with civil rights foot soldiers, visit CivilRightsTrail.com. Privately owned and fiercely independent for 65 years, with primary offices in Atlanta and Birmingham, Luckie & Company is a marketing firm that uses data, insights and relevance to solve its clients’ toughest challenges. The firm operates on a core belief that innovation and meaningful change come from a solid marriage of data science and creativity. Luckie’s client roster includes top brands in tourism, healthcare and consumer packaged goods, including GlaxoSmithKline, Regions Bank, Piedmont Hospital, Visit Panama City Beach, Little Debbie, Express Oil Change, Alabama Power, Alabama Tourism Department and Williamsburg, Virginia. Learn more at luckie.com.